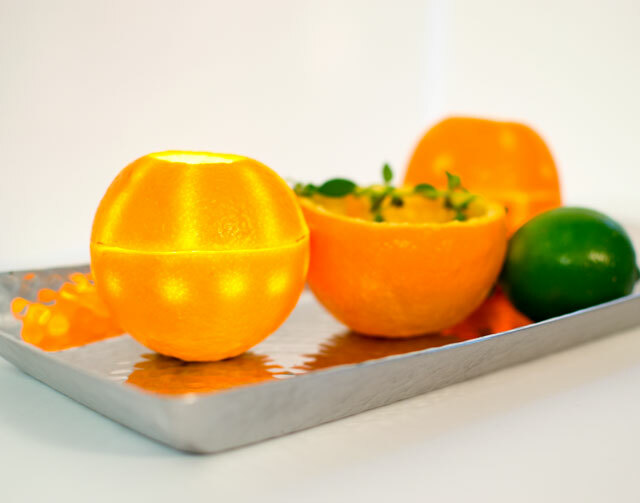 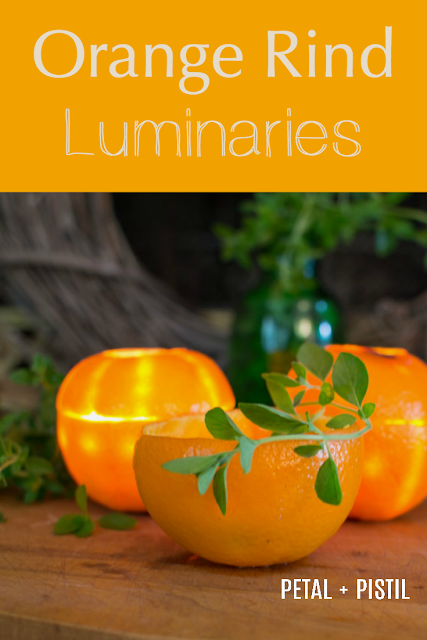 If you want a little of the October feel but aren't so into the pumpkin, these orange rind luminaries are a great alternative to the ubiquitous fall decor. 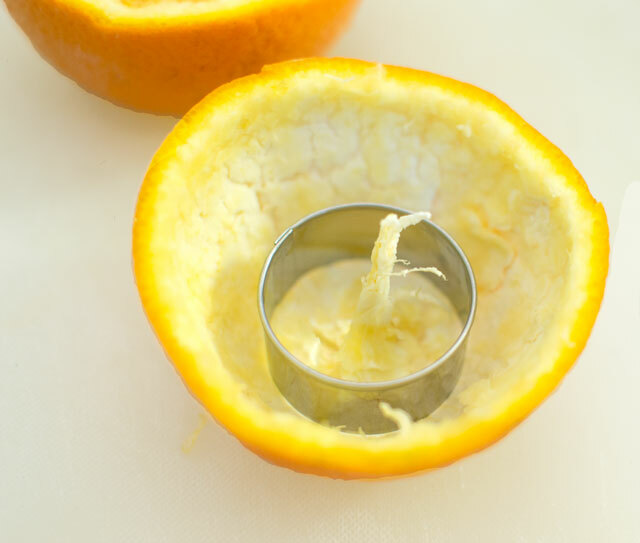 Best of all, they're easy to make and they're a fun way to style a fall season gathering. 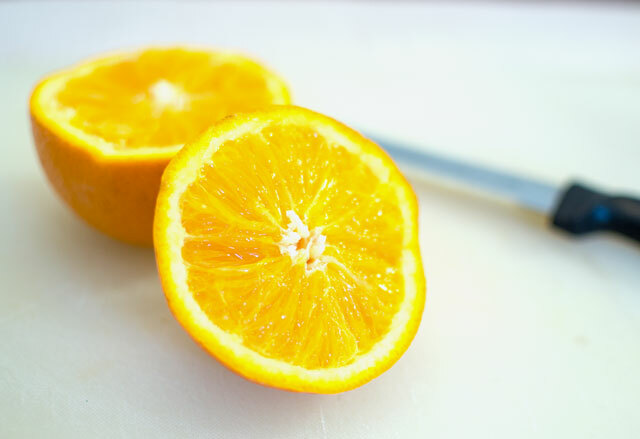 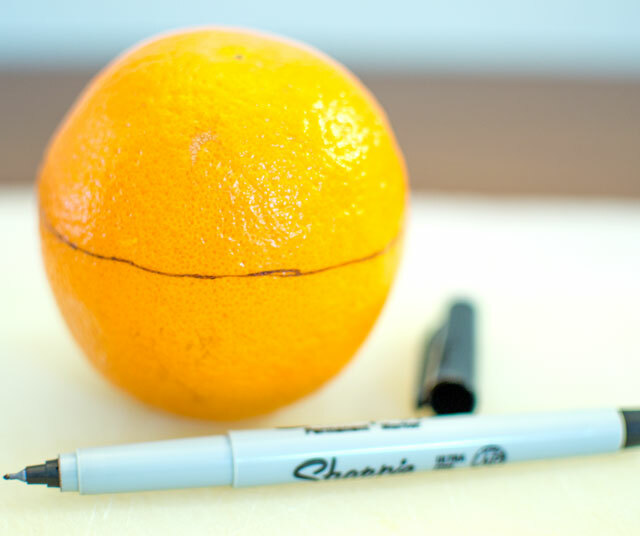 First, draw a line two-thirds up from the bottom of your orange then cut in half along the line you've created. 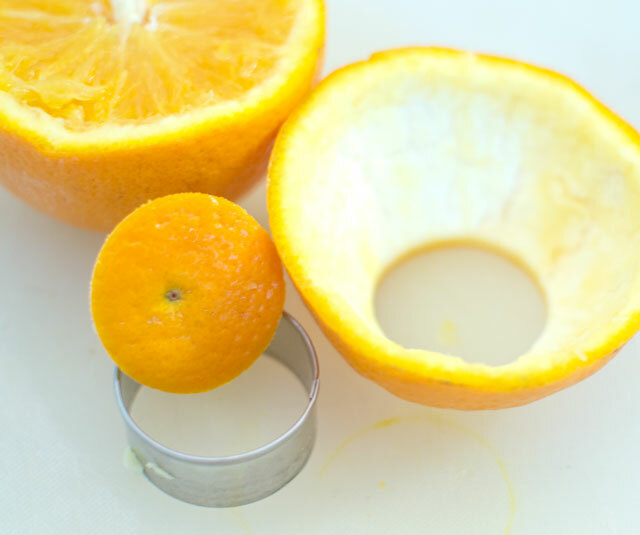 Take the top one-third of the orange and use a cookie cutter to make a hole in the top. 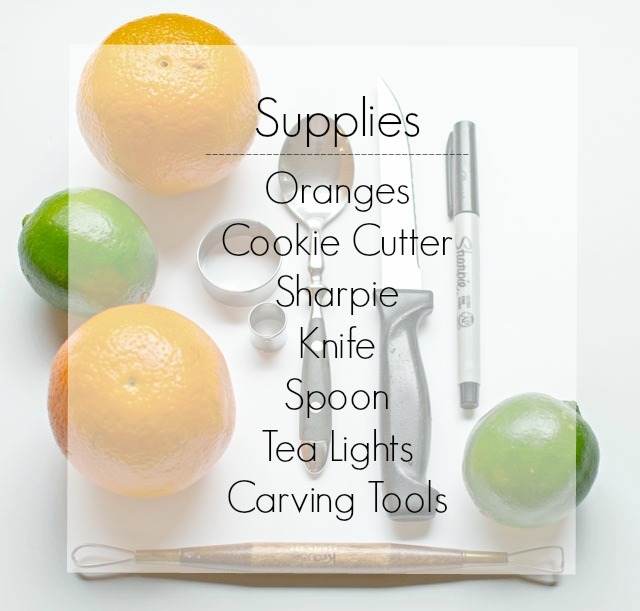 I used a half-inch diameter cookie cutter for this, but you could also cut it out manually. 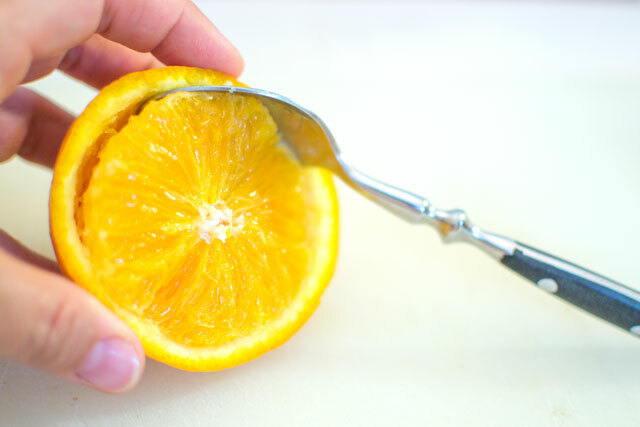 On both halves of the orange, remove the inner pith of the rind with a carving tool, making sure not to carve all the way through the skin. 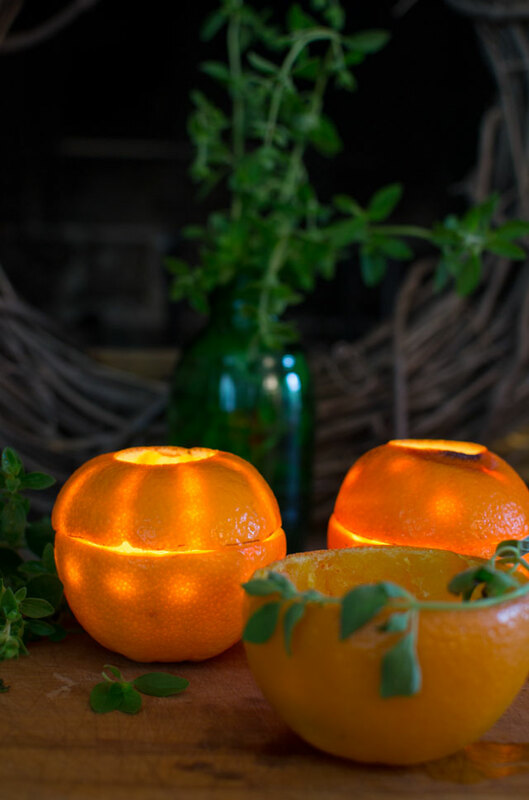 Create a fun design on both the top and bottom that will glow through once lit. 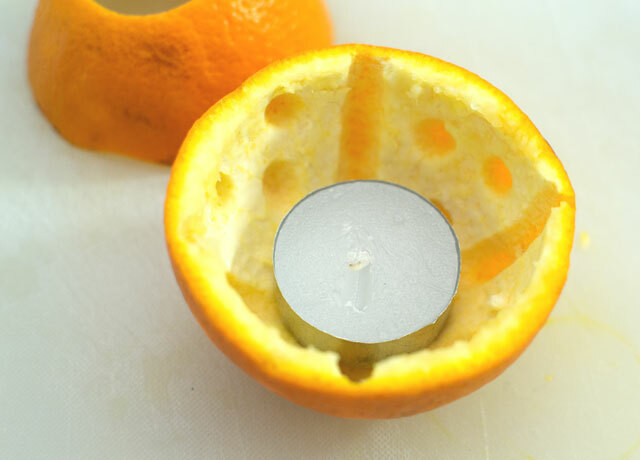 Light the tea candle and cover with the top third of the orange. 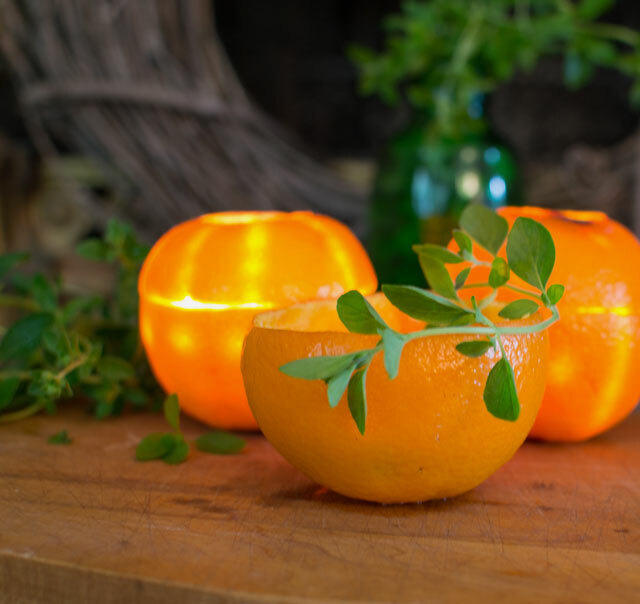 I love the soft glow of these natural luminaries on a cool autumn evening. 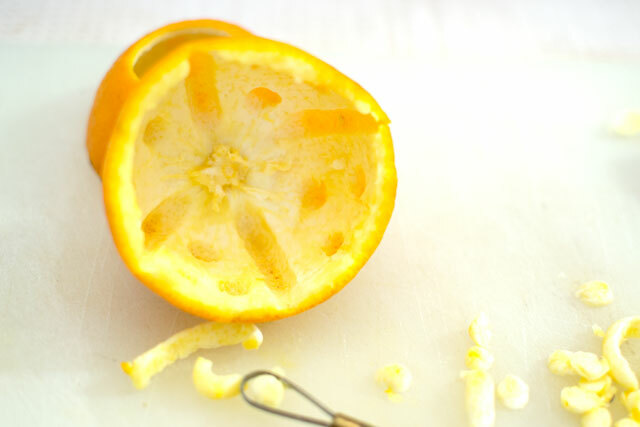 And they release the most subtle scent of fresh citrus as they burn.